Surprise, surprise. Turns out that under GM CEO Rick Wagoner, who Obama finally told to scram after thirty god-awful years ruining America’s largest automaker, the GOP was busy raking in the big bucks. Ca-ching! Wagoner, who joined GM in 1977, has had a senior role in GM management since 1992, before becoming CEO of the company in 2000. 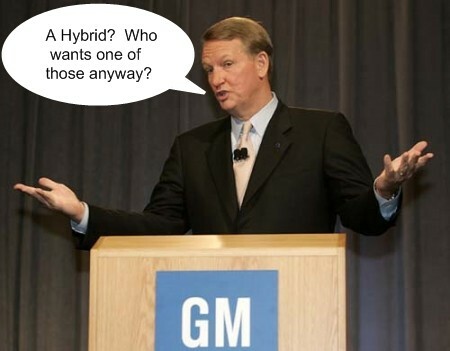 It is Wagoner’s brilliant leadership and vision during this golden, eight-year reign that helped steer GM away from the lame-o hybrids and fuel efficient cars nobody wants to instead focus on more practical, everyday vehicles like Hummers, perfect for carpooling the kids to soccer practice or taking out terrorist sleeper cells in Iraq! 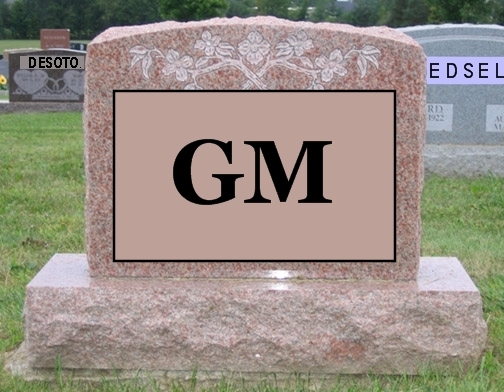 But it’s not just GM execs who profited from Wagoner’s impressively inept tenure at the helm of General Motors. Republicans did quite well themselves. From the time Wagoner took over as CEO in 2000, through the end of last year, GM and its Political Action Committee (PAC) contributed almost $2 million to Republican candidates and organizations, compared to just $815,000 to Democratic ones. Well cry me a river. Maybe instead of complaining for once, the Dems should try asking their best friends over in the autoworkers union to help make up the difference. Oh, wait…What’s the country code for calling China again?